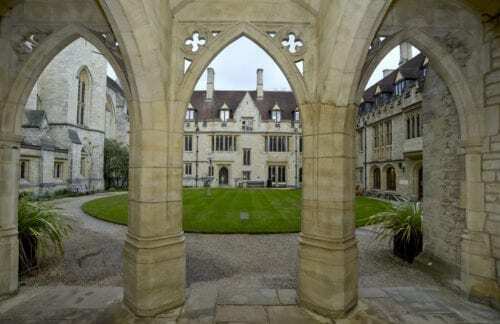 The High Sheriff of Oxfordshire, Richard Venables and Carole Souter CBE appeared at St. Cross College, Oxford yesterday, 14th March, as guest speakers at the Experience Oxfordshire Cultural Platform. Carole Souter CBE, former Chief Executive of the National Heritage Memorial Fund and Heritage Lottery Fund, and the current Master of St. Cross College in conversation with the High Sheriff of Oxfordshire Richard Venables; discussed topics ranging from public access to University buildings of note, to the evolving concept of what heritage means, and whether a tourist levy is a solution to funding issues. The event was introduced by Debbie Dance, Board Member of Experience Oxfordshire and Director of Oxford Preservation Trust, and attracted leading figures from Experience Oxfordshire’s Partner network, Oxford’s arts and culture sector and the local business community. 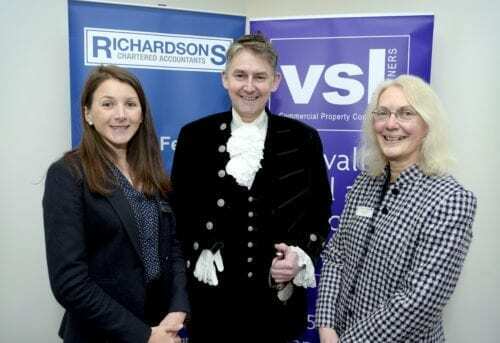 The event is part of Experience Oxfordshire’s commitment to promoting culture across Oxfordshire and was sponsored by VSL & Partners and Richardsons Chartered Accountants – Oxfordshire based companies who share a passion for promoting and supporting the cultural sector in the County. “The annual Experience Oxfordshire Cultural Platform is part of our continuing commitment to promoting culture in Oxfordshire. It’s a great opportunity to celebrate the County’s cultural heritage, as well as its thriving arts scene, but we must also ensure that we continue to invest in and promote this vitally important part of the visitor economy. It was a privilege to host the event in the stunning environs of St. Cross College, and our thanks go to our guest speakers for their insight and our sponsors for supporting the event – an exclusive session that was enjoyed by all”. 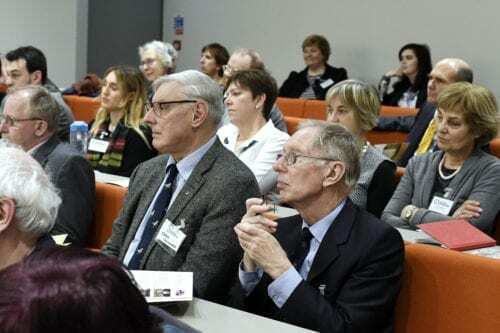 “It was a pleasure to speak at the Experience Oxfordshire Cultural Platform, to welcome so many representatives of Oxfordshire’s business community to St. Cross College and to participate in such a positive exchange of ideas. I do hope our guests enjoyed the afternoon, and found the event as enlightening and stimulating as I did”. Carole Souter CBE is the current Master of St. Cross College, Oxford and former Chief Executive of the National Heritage Memorial Fund and Heritage Lottery Fund. Carole’s career has spanned over 30 years of policy development and operational management in the public sector, and she is a trustee of Historic Royal Palaces, as well as a Fellow of the Royal Society of Arts. She was made a Commander of the Order of the British Empire (CBE) in the 2011 New Year Honours list for services to conservation. Experience Oxfordshire is the official Destination Management Organisation (DMO) for Oxfordshire and is the trading arm of the parent charity, the Experience Oxfordshire Charitable Trust. We are a not for profit public and private sector partnership organisation that is committed to the promotion, management and development of Oxfordshire as a great destination to live, work, visit and do business. 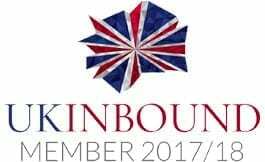 We have a growing partnership network of businesses spanning all parts of the visitor economy, and through effective collaboration we are all working to ensure Oxfordshire becomes a leading destination for tourism, culture and business. Experience Oxfordshire Cultural Platform at St Cross College. 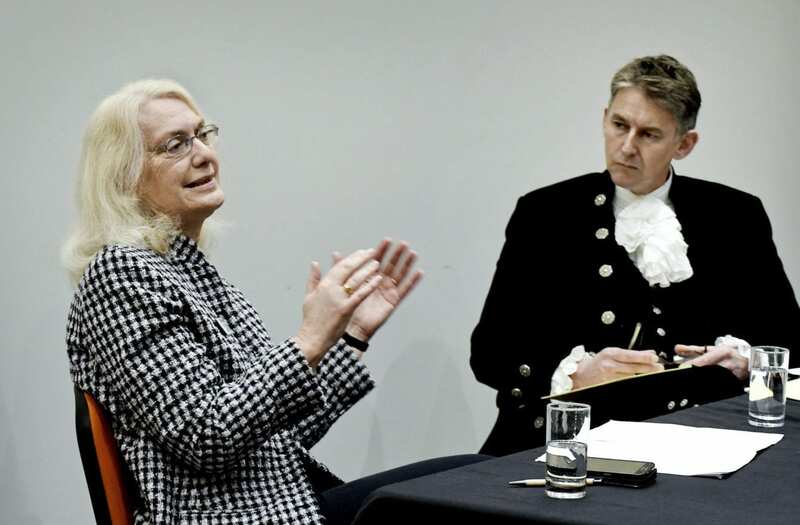 Carole Souter CBE and Richard Venables, High Sheriff of Oxfordshire, in conversation.